When you want to add some external links to your sidebar for your Blogger website, you can use the Pages widget / gadget for that purpose. The problem with this gadget is the way it is displayed for the mobile devices. It is displayed as a dropdown menu containing the links, which might not be what you want. In this article, I will show you how to modify the template code for the Pages gadget, so that it is displayed the same way as in the desktop version. As you can see, the mobile version of Pages gadget is displayed as a drop down menu containing external links plus the current page as the default option. To make that gadget look the same as in desktop mode, we need to modify the template code. Go to Dashboard > Template and click on "Edit HTML" button. Template code should now be displayed. Note: To make any modifications of the template code visible for the mobile version, you need to select "Custom" mobile template. Check my other article about Modifying Desktop & Mobile Template on how to do that. This article also has useful information for those who have never edited a template before. The code above contains two parts. First part is for mobile devices (lines 2 - 11), the second is for desktop (lines 13 - 21). We got rid of the drop down menu, but it is still adding current page, as is evident in the above image with "home" link. In the next step, we will go to get rid of that, so only external links will be shown. That way, the current page will be removed and only our external links will be shown. There are other changes we can do with the Pages widget. The line is located just above the <b:if cond='data:mobile'> line. To modify the styles of the Pages gadget, simply add the following rule inside the <b:template-skin> located at the beginning of the template before the </head> end tag, which among other things contains the CSS styles. With Blogger, we have a nice collection of Gadgets to modify our website. 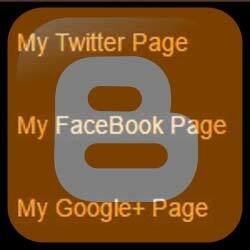 One of those is Pages gadget, useful for adding external links to our sidebar. The only problem is the way it is displayed in mobile devices. It is shown as a dropdown menu containing the external links and it also adds the current page as an option. If we simply want to display the external links as they are in the desktop version, the modification of the template code is required. I hope you have found this article useful. Did you also have a problem with the Pages gadget or any other gadgets in mobile version? Drop a comment and let us know. I am so grateful for the time you have taken to describe the step by step solution. I came to you with a problem but I would have never expected anyone to be so kind to post a whole new entry on the solution! I followed your recommendations to the letter and it worked! Again, I am very very thankful for your time and help on this, especially your detailed descriptions. I have never done anything like this before and I was able to follow the steps no problem! Thank you for your kind words. I was intrigued by your problem and it turned out to be a good new topic to write about. Hi! Thanks for this great post! I have some problems about my blogger mobile template: it not displays correctly fonts. I would change my mobile template but I don't know how. Take a look at these two urls: first one is my blog for desktop, other is for mobile. Make sure that you have "custom mobile template" chosen in theme tab in the dashboard. 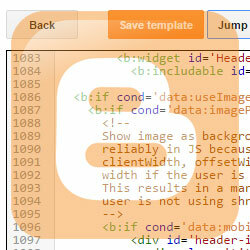 For more information, on how to do that, check my other article How to modify desktop / mobile templates in Blogger. I am from India. I am a teacher. I will try to design a blog. Finally I got success without any knowledge. I designed with the help of videos and websites, but I faced a problem. I am so grateful for the time you have taken to describe the step by step solution. I came to you with a problem but I would have never expected anyone to be so kind to post a whole new entry on the solution! I followed your recommendations to the letter and it worked! Again, I am very very thankful for your time and help on this, especially your detailed descriptions. I have never done anything like this before and I was able to follow the steps no problem! Nice work. Thanks for sharing this type of informative post. It really works for me. Thanks for sharing this informative article. I get some useful information from it.